Denis W. King, MD, beloved husband, father, grandfather, great-grandfather and a lifelong resident of Lowell, passed away peacefully April 19, 2019 at the age of 85, surrounded by family after a long illness. Born November 18, 1933 in Lowell MA, a son of the late Dr. Leo F. and the late Alberta (Wholley) King, he was educated in the Lowell school system, graduated from Bowdoin College and Boston University Medical School. After graduation, Dr. King joined his father, Leo F. King, MD, in private practice at St. Joseph’s Hospital. Denis was the family physician and surgeon to generations of families. He was associated with St. John’s Hospital and later the Saints Memorial Hospital. His private practice was interrupted by service in the Army during the Vietnam War, earning an honorable discharge as Lieutenant Colonel. A gifted surgeon, he will always be fondly remembered in the medical community for his quick wit, compassion, empathy and a legacy of mentorship of medical students and young physicians. A member of Vesper Country Club, he had a love–hate relationship with the game of golf; he was passionate about the Boston Red Sox, but his true devotion was to his family. He is survived by the love of his life and wife of 62 years, Ann Marie (Kelly) King; his children: Ellen King McLaughlin (Robert) of Vienna, VA; Kathleen King Anderson (Mark) of Westborough, MA; Amy King DeMilt (William) of Bernardsville, NJ; and Michael W. King (Pam) of Portland, ME; sister-in-law Phyllis (Crotty) King; nine grandchildren and three great-grandchildren; and many cousins, nieces and nephews. He was predeceased by his brothers Leo F. King and Peter J. King. Friends may call at the O’DONNELL FUNERAL HOME 276 PAWTUCKET ST. in Lowell from 4 to 7 P.M. Wednesday. Relatives and friends are respectfully invited to attend his Funeral Mass to be celebrated Thursday morning at the IMMACULATE CONCEPTION CHURCH at 10 o’clock followed by burial in St. Mary Cemetery in No. Tewksbury. E-condolences/directions at www.odonnellfuneralhome.com. Those wishing may make contributions in his memory to the Alzheimer’s Foundation of America (322 8th Avenue, 7th Floor, NY, NY 10001; 866-232-8484; alzfdn.org). Arrangements by Funeral Director James F. O’Donnell, Jr. (978) 458-8768. Mary Ann (McGrath) Day, age 90, passed away peacefully on April 18, 2019 with her family by her side after a period of declining health. 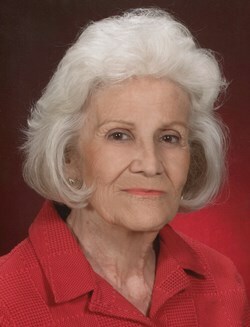 She was the loving wife of the late Fred E. Day, Jr. with whom she shared 49 years of marriage. She was born in Boston, a daughter of the late Francis M. McGrath and the late Mary (Colson) McGrath. She moved to Lowell from Cambridge as a young child where she was raised and remained there to raise her own family. She relocated to North Chelmsford, MA in 2001 and since late 2018 has resided at Langdon Place of Nashua. Mary Ann graduated from Keith Hall in 1946 and was employed at the former Lowell Electric Light Company and The Bon Marche’ in Lowell for many years. She was a communicant of St. Margaret of Scotland Parish in Lowell and was a member of the Blessed Virgin Mary Sodality, the Chelmsford Garden Club and a long-time volunteer at the Information Desk at Lowell General Hospital (formerly Saints Memorial Hospital) where she was recognized as ‘Volunteer of the Year’ in 2014 for 34 years of service. The thing Mary Ann cherished the most was her family. She especially enjoyed time spent with her grandchildren and great-grandchildren. Her family and her faith were everything to her; she made friends everywhere she went. Mary Ann considered Ogunquit her special place for decades and loved every minute spent there. She was an exceptional seamstress and for many years made hand-smocked dresses and christening gowns under the name “Precious Originals” that were displayed in various juried shops in the Lowell and Andover area. She is survived by her children: Penny Beaumont and her husband George of Nottingham, NH, Trish Gagnon of Bedford, NH, Marylou Campbell of North Aurora, IL, Fred J. Day and his wife Delia of Groton, MA and Joseph T. Day and his wife Cathy of Dracut, MA. She is also survived by her 9 grandchildren: Michael McClean, Courtney Gagnon, Derek Rocheleau, Patrick Day, Jeffrey Day, Rod Day, Nick Day, Bob Boynton and Jennifer Boynton along with her 12 great-grandchildren: Ryan, Anna, Nate, Nicky, Lily, Lucas, Zander, Emme, Adie, Laurel, Bobby and her most recent great-grandchild, Abigail. Mary Ann is also survived by her brother Mark J. McGrath of North Carolina and her brother-in-law Ernest Day and his wife Betty of Freedom, NH along with many beloved nieces and nephews. She was predeceased by her siblings Edgar McGrath and Clare Garrepy, her brother-in-law Charles “Coley” Day and sister-in-law Marjorie Day. Mary Ann's family would like to thank the staff at Langdon Place of Nashua, Home Health & Hospice of Merrimack, NH, Lowell General Hospital’s Cancer Center and Dr. Helen Leibner at Brigham and Women's Hospital in Boston for their exceptional care and dedication to their mother. Friends may call at the O’DONNELL FUNERAL HOME 276 PAWTUCKET ST. at Fletcher from 4 to 7 P.M. Tuesday. Relatives and friends are invited to attend her Funeral Mass to be celebrated on Wednesday morning at ST. MARGARET OF SCOTLAND CHURCH at 10 o’clock followed by burial in St. Mary Cemetery in No. Tewksbury. E-condolences/directions at www.odonnellfuneralhome.com. Those wishing may make contributions in Mary Ann’s memory to the St. Margaret Renewal and Renovation Fund or St. Vincent de Paul Society, both at 374 Stevens Street, Lowell, MA 01851. Arrangements by Funeral Director James F. O’Donnell, Jr. (978) 458-8768. 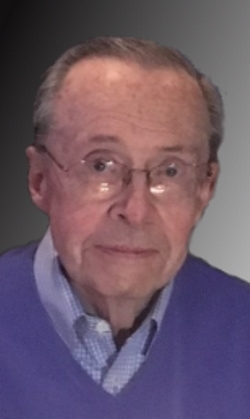 Thomas Michael MacLeod, Sr. age 84, of Lowell, died peacefully on April 14, 2019. He was the beloved husband of Mildred Rae (Elliott) MacLeod with whom he would have celebrated their 60th wedding anniversary in August. Born in Lowell, Massachusetts, October 7, 1934, a son of the late John and the late Catherine (Harrington) MacLeod, he attended Lowell schools and was a graduate of Lowell High School in the Class of 1953. A veteran of the U.S. Army, Tom proudly served his country during peacetime. Tom received an Associate’s Degree from Northeastern University and attended several business courses at Boston University. Before retiring in 2011, Tom was employed as Director of Contract Administration, International Trade Compliance and Sales Administration at TCG in Tewksbury, MA for many years. 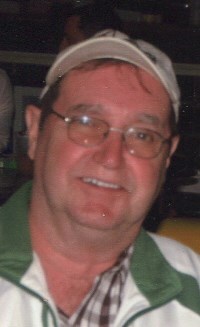 In addition to his wife Rae, Tom is survived by a daughter Karen Parnell of Boxborough; MA; three sons Thomas MacLeod, Jr. and his wife Kathleen of Tewksbury, MA, Mark W. MacLeod and his wife Susan of Dracut, MA and Stephen MacLeod and his wife Kirsten of Pelham, NH; eight grandchildren; one sister Marion MacLeod of Lowell, MA; a brother Paul MacLeod and his wife Molly of Vancouver, WA; and many nieces and nephews. He was also predeceased his brothers the late John MacLeod, Richard MacLeod who died in 2014 and sister Elizabeth Nelligan who died in 2018. In accordance of Tom’s wishes, there will be no calling hours and Funeral Services will be held privately. E-condolences at www.odonnellfuneralhome.com. In lieu of flowers, donations may be made in Tom’s memory to Richard W. Nesto, M.D. Executive Vice President & Chief Medical Officer, Lahey Hospital and Medical Center, 41 Mall Road, Burlington, MA 01805. Arrangements by the O’DONNELL FUNERAL HOME – Lowell – (978) 458-8768.